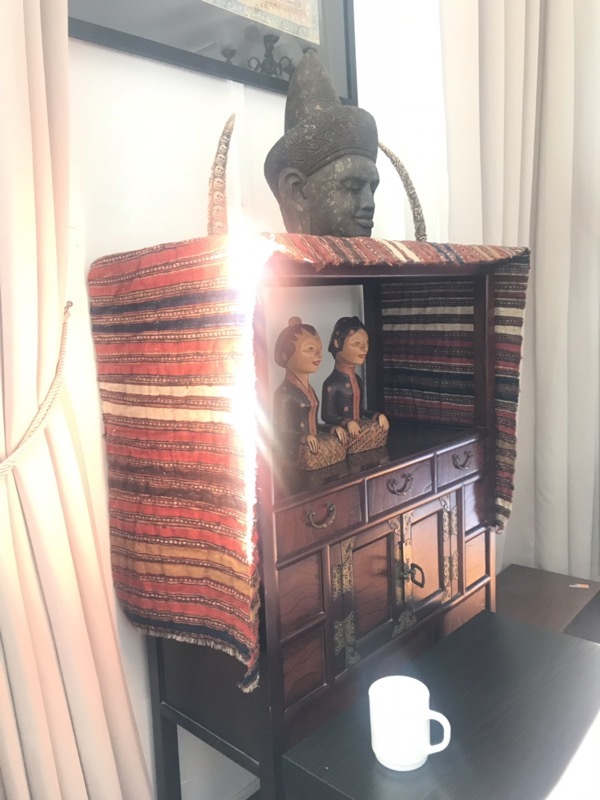 Morning Coffee with soft morning sunlight lighting up a cicim from Anatolia, Tantric ritual objects from Nepal, an Indonesian couple in Batik and a Khmer-style bronze! Do drop by if you are in Singapore! This entry was posted on November 12, 2018 by wovensouls in DAILY ART FIX and tagged art, culture, Home, home decor, home musuem, invitation.